How do I add a column of JCheckBox to a JTable via SQL? Why do I get twice in a row empty values as result? already but it only applied to uneditable cells of the table. Is there other way to do the same thing for editable combo box? First of all I have to point out that I am very new to .NET platform thus I barely understand how things work here. Now with that outta the way, I am trying to change the value displayed by a textbox to show the name of the last selected comboboxitem. Using selectedIndexChange for Combobox to fill Textboxes in Access Database. but it doesn't fill in from the selected data. // txtEventDate trying to fill from combobox entry and it isn't showing the date from the access. 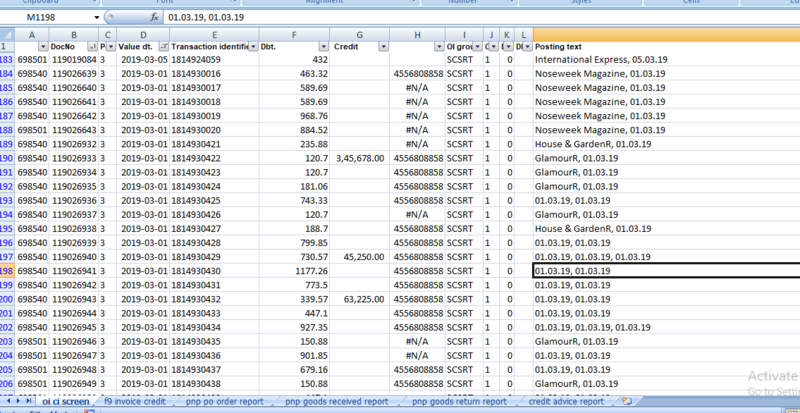 I have created a JTable from data I stored in a SQL database. Basically, my number of columns are fixed in the JTable. Now I want to add a column which will allow the user to select a particular row using checkbox of that particular row. I searched through the net I did not get any solution for this problem. I searched in SO and all I got is how to add a column for JTable initialized using 2D array but not a SQL database. I have attached the code which I am using to create my JTable. I think it is sufficient to understand my problem. I have tried adding a column manually. It did add a column. But now my issue is that the checkboxes I assign to each row appear as javax.swing.JCheckBox instead of the "checkbox icon" in the column. I have a java application with 2 JTable. The first table is made up of 2 columns and 5 rows always. The second JTable is made up of 4 columns and many columns. I want to print JTable 1 above JTable 2, then continue to print the rest of JTable. How would I do this? Page 1: Has the first table plus as much of the second table that can fit on it. Page 2 to N: Has the rest of the second table. I have an application that uses the Book Class to put together the 2 JTables and use a single print Job to print it. But each table starts on a new page. Which is not what I am looking for. When I run this code I get a Exception in thread "AWT-EventQueue-0" java.lang.IllegalStateException on the line where I write "itp.remove();". Is there a way I can remove from both the arrays based on only one of them? I want to change the background color of a specific cell to match the color of the text. For example, the "Red" cell would have a red background and so on. Im having difficulty in figuring out what code to place. Any suggestions? let dataDecoded : Data = Data(base64Encoded: id, options: .ignoreUnknownCharacters)!